Police in India have received a complaint from a private investigation firm that spurious PepsiCo products are being sold in capital Delhi. It goes without saying that the fake bottles are unlikely to be subject to any quality control and are putting consumers at risk of exposure to toxic compounds and materials contaminated with micro-organisms. A report in the Daily Mail newspaper says the complaint has prompted raids by Delhi police in south Delhi. It is thought the fake beverages are made by illicit manufacturers who then distribute them through a complex network of market stalls and small shops across the capital. This is not the first time that fake Pepsi products have been in the spotlight in India. 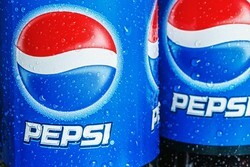 Six men were arrested in Delhi in 2010 after a raid on a factory that netted more than 1,000 illicit bottles of Pepsi as well as other brands such as Coca-Cola and Sprite.